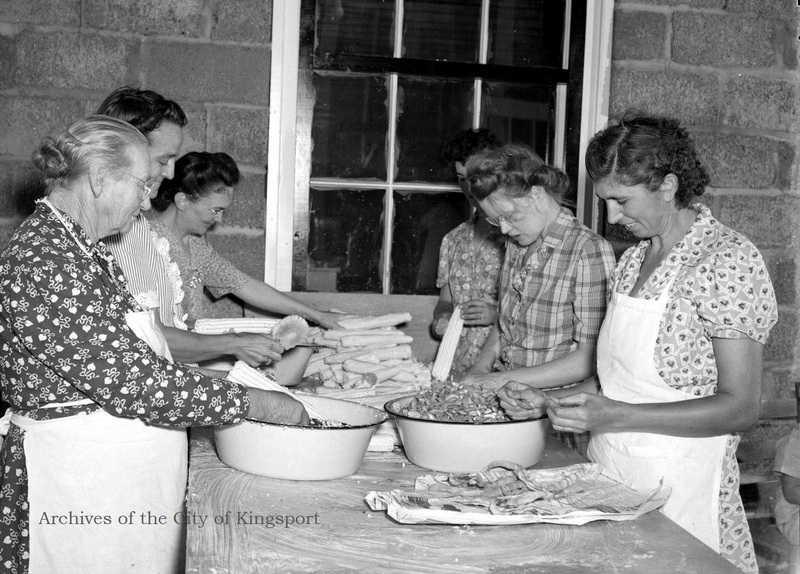 Updated 5 November 2013: The Kingsport Archives has decided to remove the “Women at Work” collection from HistoryPin and instead install it as a board on Pinterest. The clarity of the photographs and the platform for viewing the collection is greatly improved and has made us very happy. As promised, and in honor of American Archives Month, the Archives of the City of Kingsport has added a new collection to its HistoryPin channel called “Women at Work.” This project was really fun to research. There are 22 images so far of women working in their careers, in their homes, and in their community. The photographs range from as early as 1917 through 1972. I would say we are only half way to completion. On HistoryPin, a history organization like a museum, library, or archives can pin photographs to a map of the world, but it can also group images about one event called a tour (we have a tour up about the 1948 visit of the Freedom Train to Kingsport), or by topic, which is called a collection. The “Women at Work” collection is our small way of honoring the contributions that women have made over time to the town and people of Kingsport. We think they are beautiful! Here is just a sampling. 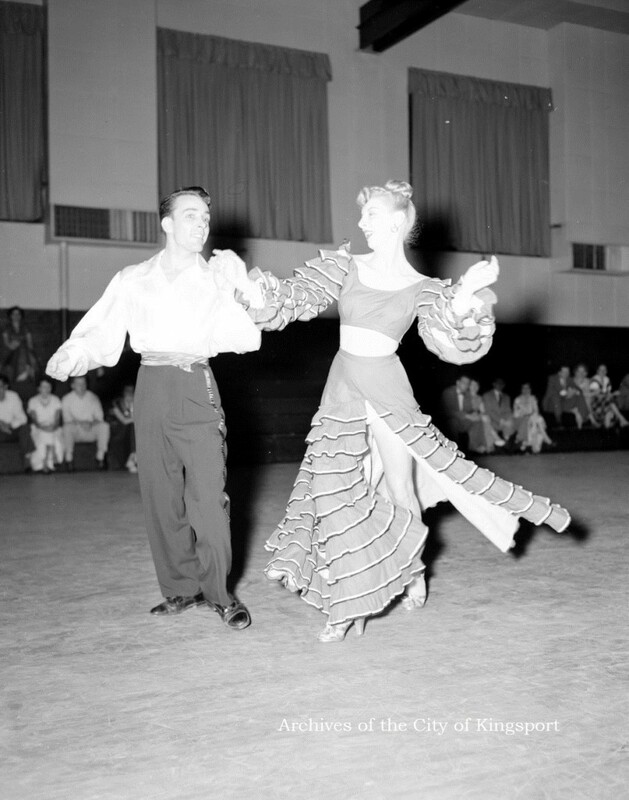 Dancers from the Newcomb Dance Studio, 1956. Thomas McNeer Jr. Collection, KCMC 106. To access the collection, go to the Archives’ HistoryPin channel (11/5/2013-please see our board on Pinterest) and scroll down to just below the picture of the library. Choose “Collection” and then click on the picture to view it in slideshow format. Or, to see the images one at a time, click on “List” because currently, the first 22 images are all from the Women at Work collection. If you have suggestion for an image you would like the archives to include or if you know of one of our collections that would have some interesting images for us to consider, please let us know by emailing briannewright at kingsporttn.gov or by calling 423-224-2559. Feature image: Volunteer Vickie Elliot responding to a street flood, 1972 (American Red Cross of Northeast Tennessee Collection, KCMC 247). This entry was posted in Kingsport and tagged HistoryPin, Kingsport, photograph, Women. Bookmark the permalink. I clicked on the link to see the other pictures and it was fun to see the various examples including one from Eastman.